Hector’s Deli is a neighbourhood café and delicatessen crafting delicious artisan sandwiches and serving coffee from Axil Coffee Roasters. Only been open for a month and the eatery already has a loyal band of followers and it is easy to see why. 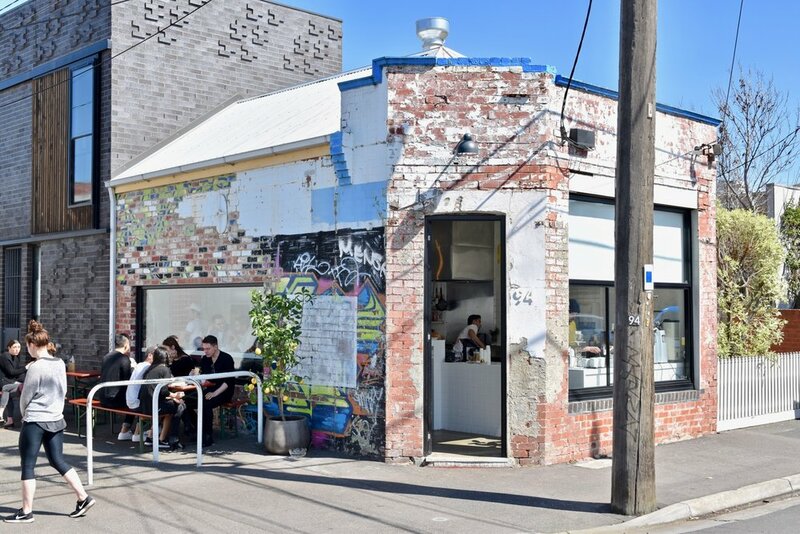 Led by an A- team (Dom Wilton, Jason Barratt, Edward Ring and Zac Kelly) who have combined their years of experience from some of Australia’s most iconic restaurants (Stokehouse, Attica and LB2 Speciality Coffee), Hector's Deli is all about delicious simplicity and approachability. Non of the frills but all of the thrills. Hector’s Deli pays homage to the Australian quintessential and traditional corner sandwich shop, while the décor makes reference to the Italian culture that surrounded 1970s Victorian suburbia. The menu is deliberately simple and uncomplicated, with just six sandwich combinations using the highest quality ingredients; meat for the Wagyu pastrami sandwich comes from Meatsmith in Fitzroy, while the ham, cheese and tomato toastie features premium mortadella, mozzarella and provolone. We arrived at 11am and missed out on their (already famous) pastrami sandwich but the chicken schnitzel roll, eggplant parmigiana toasted focaccia and smoked trout bagel more than made up for our loss. The chicken schnitzel roll is a particular winner, boasting an impressive piece of chicken schnitzel - crispy on the outside and juicy on the inside, slathered with decadent slaw within a crusty bun. It's a thing of beauty. Coffee aficionados will also rejoice, with Melbourne’s Zac Kelly (from LB2 Specialty Coffee fame) as Hector’s Deli head barista, offering single origin, house-blend, cold drop and batch brew. Relaxed, warm and inviting, Hector’s Deli is the perfect place to grab your breakfast or lunch on-the-go, or find a seat and dine-in and enjoy one of your all-time favourite classic sandwiches.